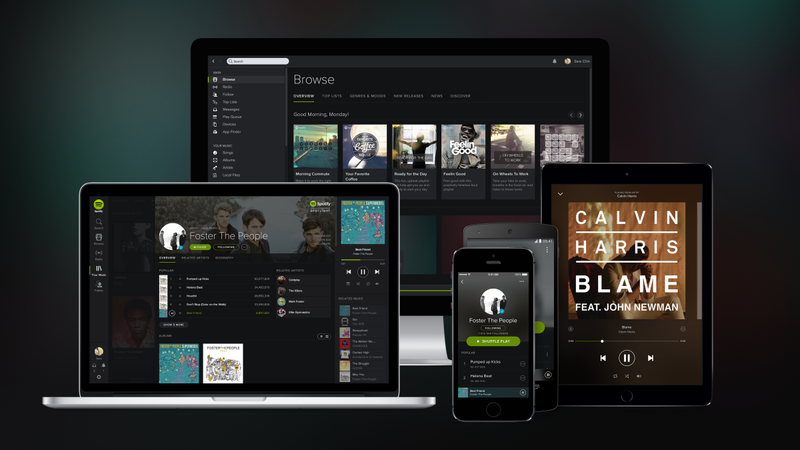 In an increasingly crowded space, and with the noted absence of Taylor and Adele, Spotify has been named the global leader in music streaming across both iOS and Android. It knocked Pandora off the top spot among Apple users as of September. Pandora is still the most used service in the US but comes in at number three worldwide, according to App Annie’s music streaming report, with SoundCloud just pipping it to the post. China’s QQMusic comes in fourth, with Japan’s LINE Music soaring to fifth place, despite only launching in June. Revenues from music streaming apps have doubled in the past year and Spotify tops the chart here too, yet again at the expense of Pandora. This was boosted by an increasing number of people opting to make premium in-app upgrades. Making people pay is an art that’s proving successful for other streaming services too, like Jay Z’s Tidal. Since launching back in March, it’s already become the fifth highest-grossing streaming app in the world. Beats Music, meanwhile, which was acquired by Apple last year, has been discontinued as of 30 November, with paying subscribers merged into Apple Music since it launched in June. Beats was actually a rather lucrative service too, reaching number four in terms of revenue just months before being shut down. In October, Apple CEO Tim Cook said the service already had some 6.5 million paying subscribers, with another 8.5 million still trialing it. If all of those people have since converted into paying customers, that’s real contention for becoming a top grossing app, given Spotify remains at the 20 million mark for folks actually paying for its service. But Apple Music has also gone stealth in terms of its revenues, as it’s chosen not to be listed among its own App Store rankings. Apple Music is now available on Android so we should soon be able to see more clearly where the app is at as it climbs the Play Store rankings. According to Google Play, Apple Music has had no more than 1 million downloads since launch.